FOLLOWING the success of Strictly Ballroom last year, Rockhampton Grammar School will be bringing world-renowned Matilda The Musical to the stage this year. Matilda was written by Roald Dahl in 1988 and is about a gifted girl with a horrible family. The musical adaptation was created by Dennis Kelly and Tim Minchin. RGS musical director Jan Kennedy said it was wonderful to be able offer something new and exciting. "In the past to see a show of this calibre, patrons had to travel to the big cities to watch the professional production, " Mrs Kennedy said. "I'm still really surprised that we were successful. We were incredibly lucky to secure the rights and we will be the first school to present Matilda in this region. "A cast of wildly talented kids, witty lyrics by Tim Minchin and a touching story written by Roald Dahl, everyone's favourite children's author, I can't think of a reason why you wouldn't love Matilda The Musical. "It's a heart-warming show packed full of wonder, magic, rebellion and fun that'll keep every member of the family entertained. Mrs Kennedy saw the professional stage production of Matilda in London, which has given some insight into the storyline, set and costumes. However, there are restrictions outlined in the contract to secure the rights, meaning the RGS show will have a slightly different look. "There's a huge opportunity for one lucky girl to play the title role of Matilda, and this will be supported by other iconic characters, such as Trunchbull, Honey and Mr and Mrs Wormwood,'' Mrs Kennedy said. With the musical locked in, Mrs Kennedy is now planning choreography, stage direction, set and costume design. "I really enjoy teaching them different performance styles and nurturing their acting and theatre skills,” she said. "To teach them about the art of becoming a character, how to understand stage directions, the workings of a set and how costumes can enhance a role are essential skills and elements that they come to know and understand through the process of the rehearsal period. Many of Mrs Kennedy's past RGS musical stars are continuing to thrive on the stage with Andrew Conaghan (2011) still performing Les Misérables on London's West End and is featuring in performances with the Ten Tenors, Jaime Hadwen (2009) is preparing to hit the stage in Muriel's Wedding, Alex Russell (2004) is based in the US and starring in the TV series S.W.A.T., Hugo Pilcher (2016) is furthering his acting career in London, while Alice Girle (2002) and Sam Johnson (2005) have both studied opera in London. 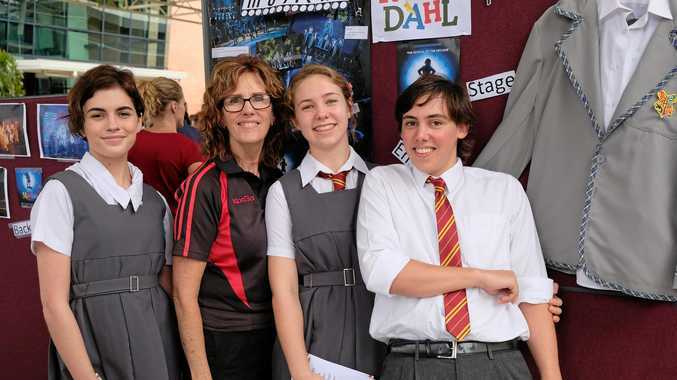 Other students have continued the theatre journey in many areas. "I simply love walking into a theatre, the feeling you get, even when it's empty, the smell, the fly lines and the lighting bars. To know that what you create brings magic to the stage and the audience is unbelievable,'' Mrs Kennedy said.